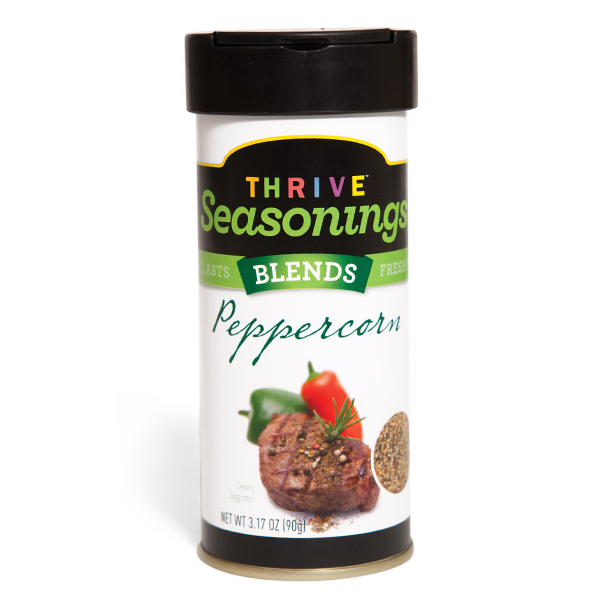 THRIVE Ground Pepper Seasoning Blend combines the spicy flavors of several different types of peppercorn and bell peppers. It will give a kick of zesty flavor to steaks, fish, burgers, or other meat entrées. Our own unique combination of 4 peppercorns and red and green bell peppers adds zing to meat entrees. It's a perfect steak rub and will give your burgers a fire-grilled flavor.